Your achievements are added to blockchain based official records. Your records are self-sovereign based and allows you to control your claims through a certificate wallet (mobile application). You also have the ability to obtain social media badges as proof of skill. 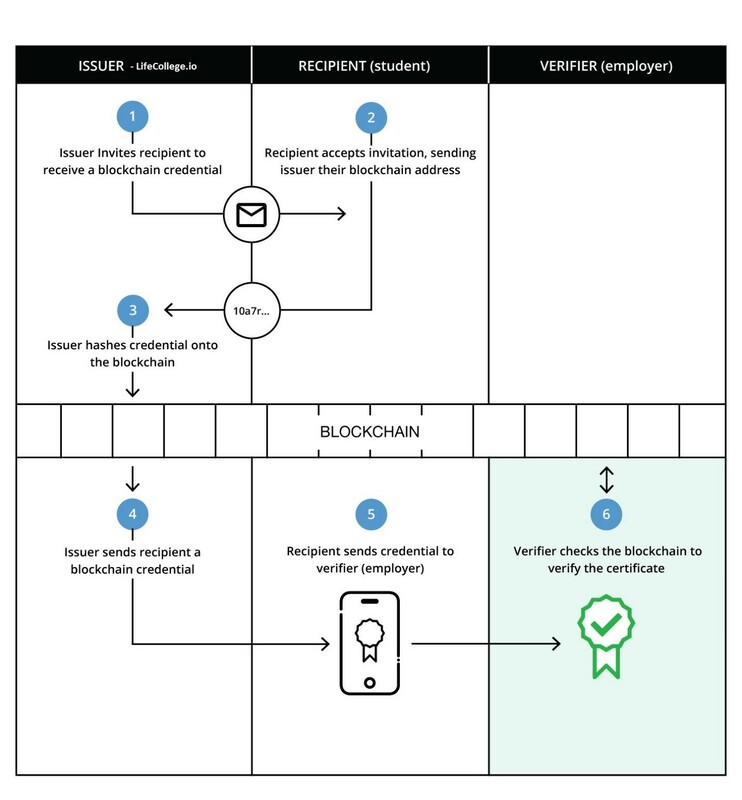 LifeCollege.io works in partnership with BlockCerts.org to provide official records of your achievement. You own your achievement and you and only you decide who to share them with. You can add additional users who can receive your credentials. This ensures that you and only you provide your accomplishments to your approved list of recipients. Receive, hold, and share your credentials at any time. Your digital identity is secured by blockchain technologies and badges are provided for LinkedIn and Instagram. Once you successfully complete a class, you will be provided with a URL to validate your certification or your certificate of completion.